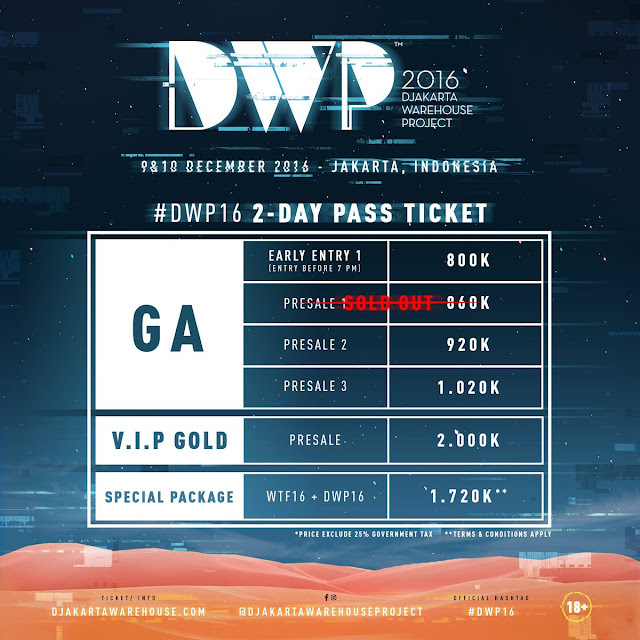 Djakarta Warehouse Project, Indonesia largest and most exciting music festival in the region is back for the 8th year. 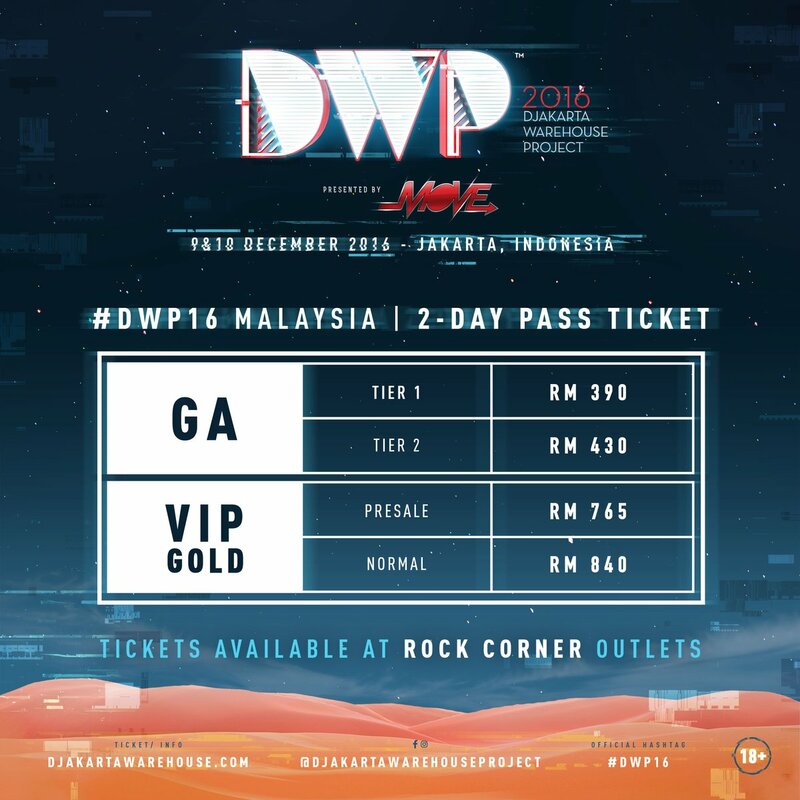 Last year’s record-breaking, sold out event welcomed a dazzling array of DJs and electronic acts to the heart of Southeast Asia, and this year’s DWP looks set to raise the bar even higher. 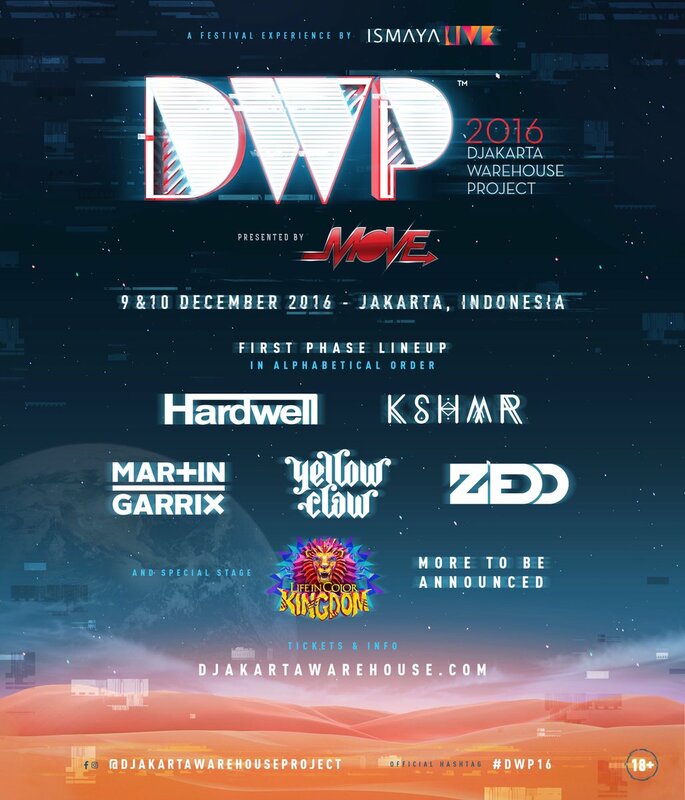 Taking place in December 9-10, the annual two-day festival that bringing electronic music fans from around the globe to Jakarta, Indonesia has announced the first phase of its artist lineup features many prominent DJ’s, including Dutch sensation Hardwell, dance music wunderkind Martin Garrix, Grammy Award winner Zedd, trap/neo-electro trio Yellow Claw, and electro house KSHMR. World’s biggest paint party Life In Color returning with their brand new “Life In Color Kingdom” to DWP this year as it ventures into the Asian market for the very first time in its full form.